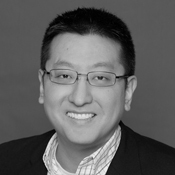 Dr. Philip Kim is an educator, speaker and consultant. Phil has been published in over 30 academic journals and has been invited to present his research at national and international conferences. Raised by first generation Korean immigrants, Phil has worked at all of his parents’ businesses including convenience stores and gas stations to diners and food trucks. As a high school dropout turned college professor, he understands the value of hard work and education. His passion is to use his knowledge and experience as a way to help bridge the gap between millennials and the organizations that hire them. He is the author of Chase One Rabbit: 10 Habits That Move You from Failure to Success a book dedicated to helping individuals create better lives for themselves. His latest book, Zebras & Ostriches: 5 Simple Rules to Engage and Retain Your Best People is for leaders who want to engage and retain their best employees. Brain research has shown there is a limited amount of resources, energy, and willpower that we as humans can devote to a task. Once that energy is depleted, it becomes harder to maintain self-control, resolve, and commitment. This is why so many diets, relationships, and small businesses fail. We don’t work in days, weeks, or months. We work in minutes, if not seconds. That is, we work in short spurts of concentrated focus. Our brains are designed this way. This talk is about capitalizing on the limited amount of time we have and making the most of it.